Now that autumn has well and truly set in and Christmas is on the way, you might be wondering just what you can do for that short break you find yourself needing toward the beginning of November. Just a little something to break up the monotony of the season before the hecticness of Christmas comes knocking, or maybe you’re looking for that great Christmas gift for the person who has everything. Perhaps you’ve been looking to find a cheap break somewhere in the UK – either for yourself or as a gift. Well look no further than one of these great options that will be sure to delight almost anyone. One of the most beautiful parts of the UK, Snowdonia is located in North Wales and covers an impressive swathe of land. 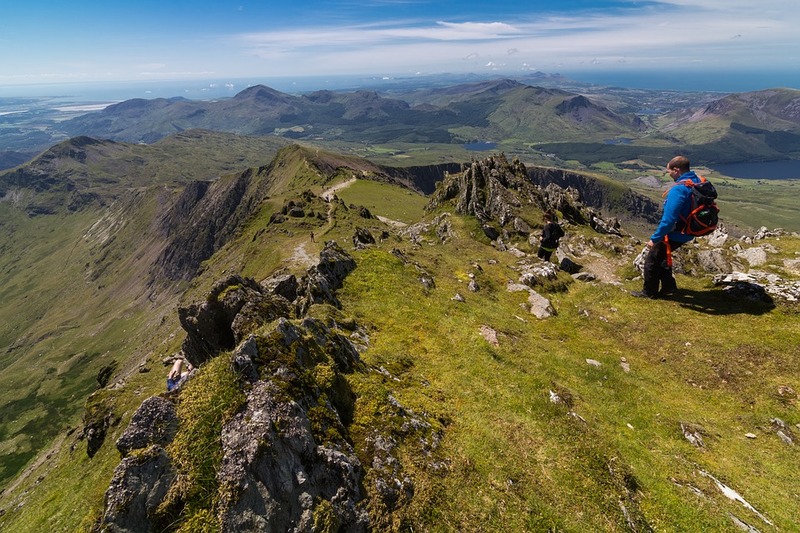 Featuring Mount Snowdon, a relatively easy mountain to climb as well as truly breathtaking vistas, views and villages, Snowdonia continues to be a favourite for many. For the best experience, consider staying within the National Park itself, perhaps in a town such as Betws-y-Coed, a beautiful little sleepy village with a lot of charm and character. Catch the bus into nearby Beddgelert, a beautiful town where you can visit Welsh Prince Llewellyn’s former palace and learn about the fate of his loyal dog, Gelert. The coast of Cornwall is awash with some of the most unique history in the UK. From the old copper mine chimneys that dot the skyline of the coast to the fun fair at Land’s End, and the magical history of such sites as Tintagel Castle, Cornwall is a place full of things to do for everyone from ages eight to eighty. Be sure to set aside time for just strolling the back streets of St Ives and driving the rugged coastal roads of the Lizard. Stop for giant cream teas at some of the most beautiful little tea houses and make friends with farmers who farm their ancestral lands. Cornwall has a little something for everyone, and is a unique place where you feel like you’ve come to another world. The Lake District is one of the most beautiful and sought after places for holidaying in England. With its rolling green hills, lakeside cafes and twisting, turning roads that lead you into the depths of the countryside where you’ll only find yourself and nature, it’s a delight for the outdoorsy person in all of us. Stroll through medieval towns and hike through the high hills to find stunning vistas and views. If you have a car you’ll be able to visit many of the regional towns such as Keswick, Derwentwater and Windermere – all of which have something to offer everyone, even if it’s just a beautiful backdrop against stunning lakes. So there you have a couple of great ideas for Christmas gift travel options for the person who has everything. So if you’re looking for something in your own backyard for your autumn or winter getaway, consider one of the above options. So get your car packed for the next best road trip – you won’t regret it! If you’re thinking about heading off to somewhere a bit unusual and different to your usual vacation destination, but you aren’t quite sure where to go, why not check out the gateway to the east in the form of the unique desert city of Dubai. Dubai is one of the hugest hubs of travel in the world, acting almost literally as the gateway between east and west – with London being only around 4 hours west and India/Bangkok being about 4-5 the other way. Dubai in itself though is a hub of activity and makes for an interesting holiday alone! Regardless of how you’re getting here, chances are you will be flying into the Dubai International Airport, although you can also enter via the neighbouring Sharjah Airport in Abu Dhabi. Dubai is well-serviced by a modern metro system which can be one of the most affordable ways to get around the city. There is also an extensive local bus network, trams and also a monorail, but despite all this Dubai remains a primarily car based city, and in truth you will undoubtedly see some of the worlds best and most beautiful high end cars here due in part to the money that can be and is made in Dubai. Buses are available if you’re interested in visiting the other areas of the UAE such as Oman and Abu Dhabi. It can be easy to think of Dubai as just a huge mix of glass and sand, but nothing could be further from the truth. It has some amazing high end shopping and dining options along with the Burj Khalifa building – the highest in the world. Hotels and shopping adorn the crown of Dubai, and the observation deck at the Burj Khalifa needs to be seen to be believed. Check out the network of souk markets strewn throughout the city which mix modern shopping with old world traditional markets, and visit the district of Old Dubai to see how the city looked before it was injected with the money it has today. Save up your pennies and spend a night being pampered in luxury at the Burj al-Arab hotel, the only (although self-proclaimed) seven star hotel in the world. You can stay for a night or just come for afternoon tea or a meal, either way, do not miss this piece of pure luxury in the lap of the Middle East. 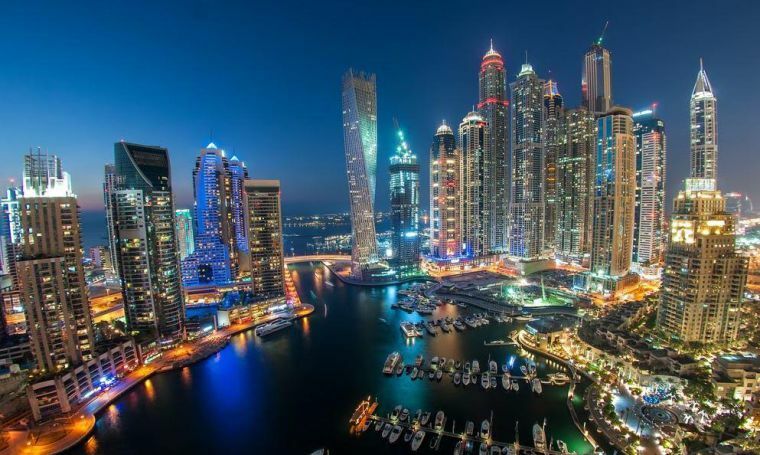 You can book a few different tours around the city itself, perhaps a boat trip along the Dubai Water Canal or take a stroll down to the Dubai Marina, both fantastic opportunities to get out and around Dubai in a different way. There’s also Ski Dubai – an indoor ski slope for those who miss the white stuff while they’re in Dubai as well as a number of great sand safaris and even Wild Wadi – a great adventure park for the whole family. Likewise there is always the beach as well as the exclusive Palm Islands – the artificial island that were created off the coast of Dubai in the shape of palm trees where many of the worlds rich and famous have homes or property. There is ultimately something to do for everyone in Dubai. So there you have a quick run down of everything there is to see and do in Dubai, proving that it’s not just a city of sand and skyscrapers. Come on over to Dubai, even if it’s just a stop off on your way to somewhere else. You will be left in awe at Dubai, and plan to come back again. We promise!